At KPC Injury Law, our Niagara Falls, Ontario personal injury lawyers continue to serve the community and assist personal injury victims and their families. KPC Injury Law is one of the top recommended personal injury law firms in the Niagara Falls area and has recovered substantial amounts of compensation for its clients. Our Niagara Falls personal injury lawyers have helped many victims of motor vehicle accidents, public transportation accidents, motorcycle accidents, pedestrian accidents, slip and fall accidents, product liability, and accidents causing brain injuries, spinal cord injuries, orthopaedic injuries, and injuries resulting in chronic pain and psychological trauma. Dealing with a personal injury is difficult enough without having to worry about insurance adjusters and other burdens associated with making an injury claim. We often visit injury victims at the hospital and at their home in order to take some of the pressure of the victim, as well as protect their rights as early as possible. 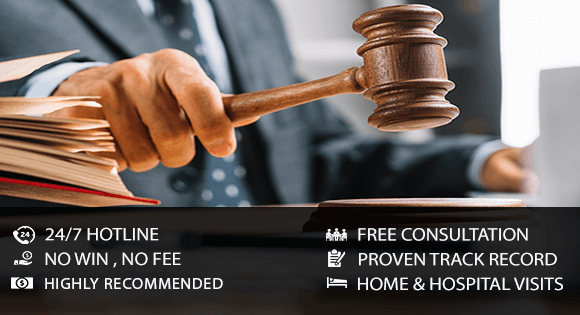 The experience possessed by our lawyers comes from regularly winning against insurance companies inside and outside of the courtroom, which is an asset that not many competitors possess. If you or a loved one was hurt, you deserve to be compensated for your injuries. Contact us for a free, no obligation assessment, and let us ensure that justice prevails. As a highly recommended injury lawyer Niagara Falls firm, we have recovered substantial compensation amounts for our clients in most cases. Most importantly, we understand how these accidents can result in considerable emotional and psychological suffering as well as chronic physical pain. And that is precisely why you need to seek legal assistance in getting the rightful compensation. When it is about wrongful death or medical negligence, our compassionate lawyers and staff members know how difficult being injured or losing a loved one can be. We also know how stressful and worrisome it can be to deal with insurance companies as well as the other issues that arise when dealing with personal injury claims. The bottom line is that you deserve compensation and the KPC Injury Law will help you get it. Call us today and let us help you get justice.